Is it safe to apply Aloe Vera gel on the face overnight? Home skin care Is it safe to apply Aloe Vera gel on the face overnight? The plant of aloe vera is well known for its intensive skin care properties. The popular home potted plant has great anti-inflammatory and anti-bacterial properties that not only provide the user with glowing skin but also relief from several skin conditions including acne, scars, and sun damage. It also works as a perfect moisturizer and sunblock. However, users are often wary about its uses and the advantages/disadvantages it offers. In this article, you can learn all about the herbal plant and the benefits of aloe vera on face overnight. Is Aloe Vera Safe For Skin? Despite being an age-old remedy, aloe vera remains to be a controversial plant with many people questioning its safety. 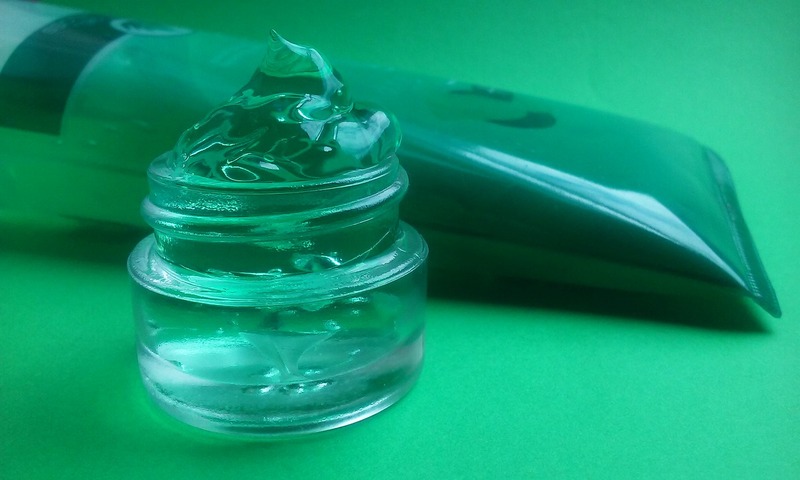 However, the best and the safest way to use aloe vera gel on face is to keep a plant at home, cut off part of the leaf, and squeeze out the fresh gel from inside. You can also use store-bought Aloe Vera gel but make sure to purchase from authentic source only. aloe vera gel is a safe product to apply overnight. In fact, beauty experts highly recommend the method since our skin goes through an “an enhanced repair therapy” at night and the gel of aloe vera aids in the rejuvenating and regeneration phase. Nevertheless, before applying the gel on face overnight, we suggest you test a small area for any allergic reaction. Moreover, users with sensitive or allergy-prone skin should avoid keeping the gel on skin overnight and wash the mask after an hour or until the gel dries completely. Here are some of the top reasons to apply aloe vera on face overnight. Research has shown aloe vera gel to increase skin hydration – making it a perfect ingredient for dry skin. The herbal plant also has anti-aging properties as its rich in vitamin C, E, and beta-carotene. Research has also proven that aloe vera gel can improve the production of collagen in the body and increase skin elasticity in just 90 days. Therefore, regular application of the gel overnight can ultimately reduce wrinkles, fine lines, and other visible signs of aging. The anti-inflammatory and cooling properties of aloe vera gel make it a perfect remedy for sunburn. The potted plant is also rich in antioxidants and minerals that speed up the healing process. Acne is a common skin condition especially among teenagers. However, the anti-bacterial, anti-septic, and anti-inflammatory properties of aloe vera gel protect and fight the bacteria that cause acne. Consistent application of the gel can also lighten blemishes and scars that are a result of acne as well. aloe vera is a common topical treatment for wounds, cuts, and burns. Several experimental studies also conclude that the gel can reduce the healing time of first and second-degree burn by nine days – when compared to other methods. Now that you know the benefits of aloe vera on face overnight, here are some masks you can try for your specific skin condition. 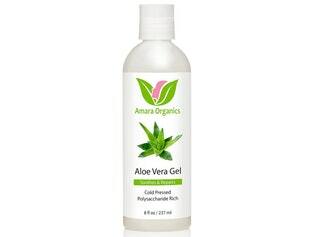 Simply take a piece of aloe vera, take out the gel and apply it directly on the dry areas of skin. Leave it on overnight and wash face thoroughly in the morning. Mix aloe vera gel with almond oil and massage it on skin. Take 2 tablespoons of aloe vera gel; mix it with 1-tablespoon rose water, and 1-2 drops of lavender or tea tree oil. Apply on cleansed skin before bedtime. To brighten and whiten the skin naturally, mix 2 tablespoons of fresh aloe vera gel and a tablespoon of fresh tomato juice. The mask can be left on face overnight or until dry (in approximately 45 minutes). Wash cucumber and blend it well in a food processor or blender. Mix it well with aloe vera gel and apply on skin. Make sure to keep a 50/50 ratio of both the ingredients. Mix a few drops of tea tree oil with aloe vera gel. Apply all over face and wash it in the morning. Take 1-2 tablespoons of aloe vera gel and mix it well with a few drops of lemon juice. Leave it on overnight – however, you can wash the mask within an hour if you find it too sticky. Prepare a mixture by taking one tablespoon of Aloe Vera gel and one vitamin E capsule. Apply the mask on affected areas and leave it on overnight. You can also wash the mask after an hour or until completely dry. Mix one spoon of fresh aloe vera gel with ½ spoon of green tea. Apply the mixture around the eyes and wash it in the morning. Take two spoons of aloe vera gel and blend it well with four drops of olive oil/vitamin E oil and one egg white. Prep your face for the mask by washing face with a gentle exfoliating cleanser. Take a warm shower or a steam to open up the pores of your face. Make sure to clean the face thoroughly in the morning. Applying the aloe vera mask overnight gives the magical plant more time to work. By using it regularly, you can maximize the potent ingredients and avail glowing and healthy skin. However, make sure to do an allergy test first.